Our course material follows guidelines stipulated by the the UK’s National Occupational Standards. Our course level of qualification and course core competencies are based upon by the key principles found within the NOS guidelines. Each NOS contains an agreed set of knowledge and understanding and performance criteria that must be met before someone can be deemed competent. They describe the minimum standard to which an individual is expected to work in a given occupation. We have listed below the core competencies taught and assessed on this course. Our Key Principles of best practice and standards of competency. To demonstrate a range of intervention techniques with various clients. The historical development of your coaching modality and the profession. The understanding your coaching modality is a process driven modality. The concepts underpinning CAM and integrative and orthodox medicine. How to use questionnaires and diaries to optimise gathering of information. Understand industry regulation and the impact it may have on your coaching modality. To understand the relevance of different professional bodies and how they fit into the overall picture of risk, regulation and governance. Building rapport with your clients and gain trust and client commitment to working together. The importance of integrity, professionalism and confidentiality. Understand CPD and acceptable standards. Demonstrate a thorough understanding of the philosophy and principles underpinning your coaching discipline. Demonstrate an understanding of current legislation and policy as it applies to your coaching discipline. Demonstrate a respect for your client’s dignity, privacy, autonomy, cultural differences and rights. Regard for the safety of your client and yourself. Understand the importance of continual professional development, learn from others, and develop your own knowledge, understanding and skills through reflective practice and research findings. Demonstrate an understanding of your own emotional state and the emotional state and responses of your clients incorporating such awareness into your own practice. Ensure you communicate clearly, concisely and in a professional manner. Ensuring client confidentiality at all times. That you work with confidence, integrity and sensitivity. Ensure you comply with an ongoing development plan that includes systematic observation and critical evaluation of your professional knowledge and skills. Ensure you work within the scope of your practice, experience and capability at all times. 1. CORE KNOWLEDGE – This module explores the theoretical and practical basis of your chosen modality in modern psychology. TOPICS INCLUDE – Client programs, – biological, cognitive, physical, social and developmental perspectives are covered. The basic principles of clinical and applied psychology are also discussed including the significance of particular clients and client programs. The modules include an overview of the history, psychological research, skill sets and methodologies in your chosen modality. Our Wellness modules cover nutritional medicine and practice, health coaching, behavioural science, health testing, human givens psychology, the hierarchy of human values and needs driven psychological approaches. Mental health modules include health testing, the role of medication, stress management, emotional resilience, behavioural change interventions. 2. CLINICAL APPLICATION – This module explores the clinical application, treatment, outcome focused client approaches, interventions, client programs and behaviour change solutions within your chosen modality. TOPICS INCLUDE – Integrative multi psychological approaches, multi certification training modules, cognitive theories of learning, the client journey, managing the therapeutic relationship, client consultation programs and processes, the client contract, gaining client trust and confidence, clinic operational programs, psychology in application, theory and practice psychology in practice, the professional practitioner principles and theory multi modality modules. 3. CONTINUING PROFESSIONAL DEVELOPMENT – Maintaining your skills and keeping your knowledge up to date. TOPICS INCLUDE – What is CPD, impact, benefit, action, structured post course CPD plans, extensive post course CPD modules, ongoing student support program, long term student mentoring, life time access to modules, support student groups, expert social media groups, free training days, face to face practice groups. 4. COMPLIANCE GOVERNANCE AND RISK – Industry protection of the public and practitioner. TOPICS INCLUDE – Voluntary regulation, statutory regulation, the role of the PSA, codes of conduct, the role of the ASA, adhering to practitioner proficiencies and regulatory standards, regulatory clinic standards, the role of professional bodies, the practitioners guide to governance and risk, protecting your self and your practice. 5. CAM MARKETPLACE (Complementary and alternative) A complete high level view of the CAM workplace and the roles of the practitioners, therapists, coaches and health specialists that work within it. TOPICS INCLUDE – Talking therapies and their role today as a medical alternative, joint ventures, competitor analysis, cross referrals, the functional medicine model, benchmarking services and charges, importance of USP’S, clinical SLAS, building meaningful professional relationships, NHS and conventional treatment, CAM marketplace and your role within it. 6. NATIONAL OCCUPATIONAL STANDARDS – Ensures our students receive the highest standards of training and achieve the highest levels of proficiency and competency when attending any of our courses. TOPICS INCLUDE – All of our courses follow the Principles of Good Practice that are underpinned by the UK’S National Occupational Standards (NOS) and describe the ways in which practitioners should demonstrate appropriate levels of competency and best practice across all of their work. 7. CLIENT SATISFACTION – Ensures our students provide the highest level of professional services to all their clients and meet regulatory guidelines and best practice principles. Modules also provide you with an understanding of how to run an ethical therapeutic practice, and help you in considering the impact of the decisions you make upon your clients, the wider public, your professional organisations and yourself. TOPICS INCLUDE – The client journey, client service level agreements, the therapeutic relationship, professional ethics and client integrity, managing the client relationship, building long term relationships, client contracting. Importance of client feedback, getting great results with your clients, practitioner code of conduct, the complaints procedure, the client contract. 8. ONGOING GOING SUPERVISION – The merits, benefits, importance and seeking out an appropriate supervisor. TOPICS INCLUDE – The role of the supervisor, benefits of supervision, benefits of supervision, finding the right supervisor, supervisor or coach. 9. ONLINE TRAINING – A series of educational and vocational online training courses accessible anywhere in the world. All courses ensure the highest standards of learning, course content, diverse modules in the theory, practice and clinical application of your chosen coaching modality. Each course contains lectures, video skill sets, downloadable hand outs and work books, course case studies, topic dissertations, course exercises, section assessments and a live face to face assessment process, full graduation and your ACCPH diploma and accreditation. 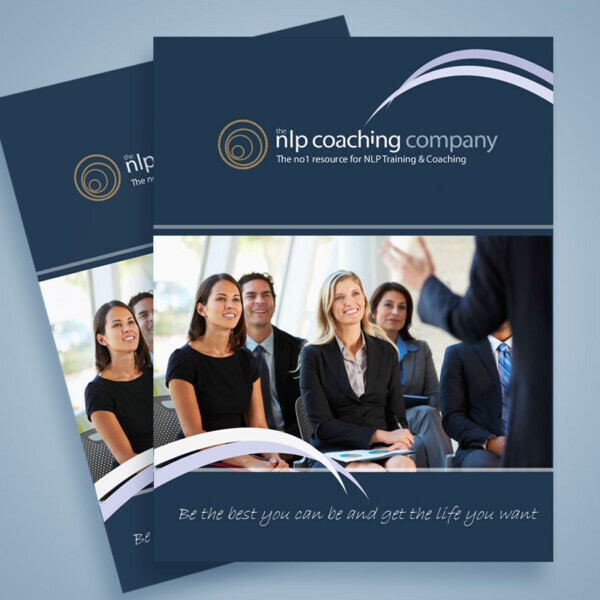 Our professional practitioner range of courses all include our world renowned CAM COACH Business building modules in how to set up and sustain a successful practice based upon the best selling business book of the same name. TOPICS INCLUDE – Modern psychology in practice, the professional practitioner principles, theory and clinical application, learning theory and practical application, applying modern psychology to your own life, human givens psychology, multi modality modules, behavioural science, professional ethics client integrity, the client session, managing the client relationship, business set up modules, post course mentoring and support. 10. MANAGING YOUR PERSONAL STRESS – Learning the importance of managing your personal stress, managing your time, avoid overload and understanding the benefits of having your own coach and mentor. TOPICS INLUDE – Applying the strategies in your own life, learning a blue print for success in the 4 areas of lifestyle, human givens application, action planning, outcome focused objectives, self analysis of needs beliefs and values, the life plan, eradicating limiting beliefs. The 5 BIG Strategies to change your life. TOPICS INCLUDE – Over 30 lectures, business start up modules, the first 2 years in private practice, how to attract and retain quality clients, regulation, self employed, partnership or limited company, accounting procedures, online and offline marketing, social media, website, SEO and PPC advertising, top tips from the worlds most successful practitioners, business modules for new and existing professional practitioners, setting up your private practice – the right time, full or part time, top tips from the worlds greatest coaches.